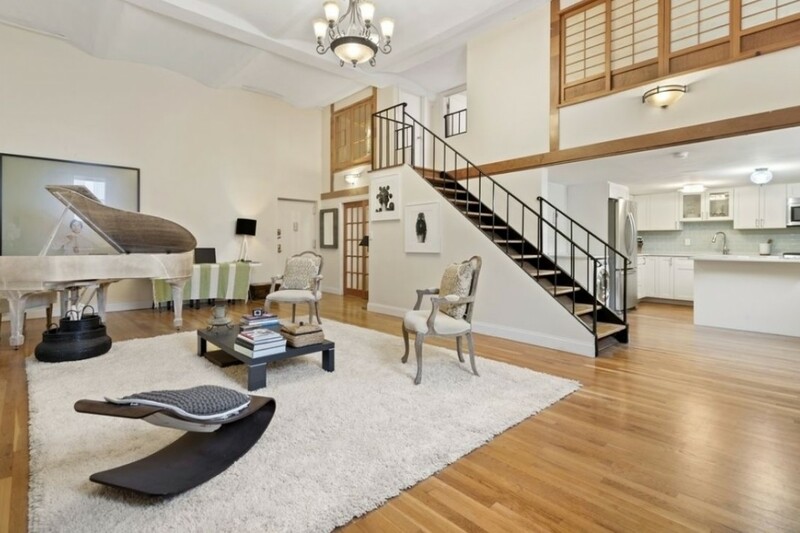 This East Harlem duplex is located in Magnolia Mansion, a 1800-era schoolhouse that was converted to luxury condo lofts. The main plot line of Netflix's weird and wild comedy-drama "Russian Doll" has Natasha Lyonne’s character Nadia Vulvokov repeatedly dying and reawakening in the bathroom of her friend Maxine’s East Village apartment—an airy floor-through loft in a former yeshiva. 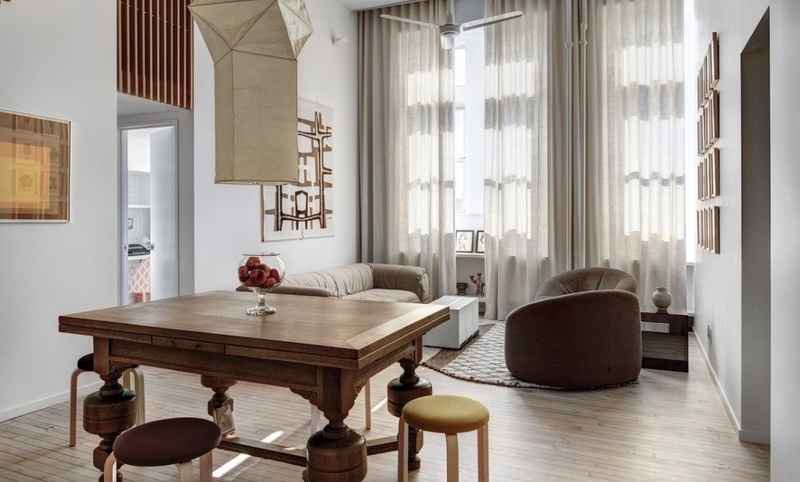 It's not such an unusual setting for an apartment. Developers do actually buy and convert former yeshivas, Catholic schools, private, and public schools in New York City into condos or rentals. Classic NYC schools typically have handsome architecture, like high ceilings, large windows, and impressive facades. But these building are not without their challenges, like heating and cooling large, windowed spaces. 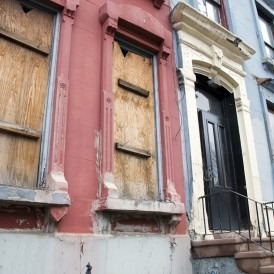 In this week’s Buy Curious, Joe Azar of Citi Habitats, Samantha Rose Frith of Warburg Realty and Jesse Shafer and Greg McHale of Compass educate you on all the former schools where you can live (and die and come back to life over and over again) in NYC. I saw a listing for a really attractive apartment in a former school building. I'm wondering what it is like to live there. Are there any downsides? 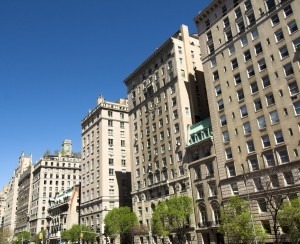 How do apartments there compare to regular NYC apartments? There are actually lots of residential buildings that previously served as schools. They can be found all over the city, particularly in the brownstone neighborhoods of Brooklyn (Cobble Hill and Carroll Gardens, specifically) and spread out over Manhattan—especially on the Upper West Side and in Harlem. Starting uptown, there’s 555 West End Avenue, a 13-unit building in the former St. Agnes Boys High School on the Upper West Side. It offers three- to five-bedroom apartments with walk-in pantries, eat-in kitchens, and staff rooms. Magnolia Mansion in East Harlem was built in 1889 as a schoolhouse and converted to condos in 1987. The Romanesque Revival building has 33 duplex condos and the Poet’s Den art gallery and theater. And PS90 in Central Harlem is a six-story, 75-unit condo building in a former school. It offers an attended lobby, a live-in super, fitness center, bike storage, media room, art room, cold storage, and a planted resident garden. Elsewhere in Manhattan, there’s the Lower East Side’s School House, a six-story, 117-unit rental building with a full-time doorman and a 24-hour gym in a former public elementary school; and 331 East 15th St., the old Stuyvesant High School building in Gramercy Park, which is a rental. And built in 1905 as a public schoolhouse, Inkwell is a five-story Hell’s Kitchen condo building with two three-bedroom residences with private terraces and 16 two-bedroom apartments. In Brooklyn, Cobble Hill has 205 Warren Street, an old parish Catholic school that is now co-ops. And 174 Pacific Street used to be a public elementary school and is now home to converted lofts with high ceilings, hardwood floors, and exposed beams. “Both are grand, solid-brick buildings from the Victorian era that have arched windows and detailed cornices,” Azar says. What are apartments in former school buildings like? “Most make good use of the high ceilings and oversized windows common in former classroom spaces,” Azar says. He says you can expect prewar charm and modern amenities. Many developers attempt to preserve a lot of the historic detail in these onetime schoolhouses—like marble floors and staircases or ornate wood trim. And the facade is usually retained since many of the buildings are in historic districts, Frith says, while interiors are usually gut renovated with high-end kitchens and baths. 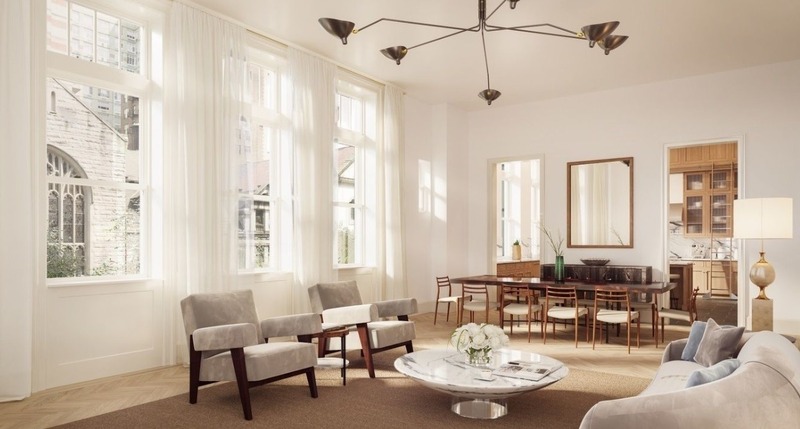 At 555 West End Avenue, the former gymnasium has been transformed into an $18 million “solarium” penthouse, and the school’s library has become a $10,500,000 five-bedroom unit, with a 42-foot living room and a master bedroom on a separate mezzanine level. As for the schools’ outdoor spaces, Azar says that former playgrounds are sometimes transformed into common courtyards/garden spaces for residents, and the staircase leading up to the school is often kept as a signature design feature. Are most of these buildings condo or co-op? Some of the older conversions are co-ops but more recent conversions are condos. Brokers Brick spoke to say conversions that happened during 1970s and 1980s are co-ops. Conversions today tend to be condos. What kinds of amenities do they have? “Like most new condo developments, they have all the bells and whistles,” Frith says. You can expect 24-hour doormen, fitness centers, resident lounges, entertaining spaces, billiard rooms, cold storage, live-in supers, resident managers, and manicured garden terraces. Shafer and McHale say that many of the buildings also offer parking (where the playground or common grounds would have been), as well as common courtyards, and that many can be retrofitted with elevators, as well. But you won’t find all of the extravagant amenities available in many new developments. “Amenities need to be carved out of an existing structure—so building an indoor pool, a rock-climbing wall, and other over-the-top features are not as prevalent in these buildings,” Azar says. How much do apartments in these buildings cost? Prices will start in the high six figures—$1 million to $1.5 million or so—for a one bedroom and go up to $18 million (or more) for a penthouse unit. “Location is the key factor when it comes to cost,” Azar says. Why would someone want to live in a former schoolhouse? They're charming, for starters. 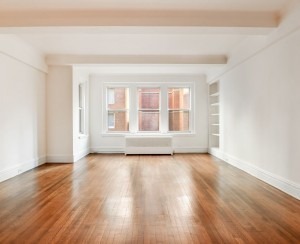 In addition, many of these spaces often have large windows, tons of natural light, and high ceilings. Azar feels that these units are great options for folks who “appreciate history and quirky charm” as they offer a one-of-a-kind façade coupled with modern finishes and amenities. Why wouldn’t you want to live in one? Many of these buildings share a "Collegiate Gothic" style of architecture, the prevailing trend when many of these buildings went up in the late 19th and early 20th centuries. “If you prefer an ultra-modern look with glass curtain walls and sleek lines, you may not see the appeal,” Azar says. And Frith adds that loft spaces with high ceilings can sometimes be difficult to heat and cool, so you’d need to be extra prepared for any extreme weather that arises. “It can be a time-saver to convert the existing structure rather than embark on a brand-new building,” Azar says. Frith adds that if the building is historic, the surrounding community might view the project more favorably since the original structure is being preserved. Residents in a neighborhood may oppose a longtime school being turned into expensive condos. Azar adds that it takes tons of leg work to get these types of deals approved, which can be a deterrent to all but the most dogged of developers. In addition, as is the case with many older structures, there can be unpleasant surprises lurking under the surface—asbestos, lead paint, foundation issues, and leaks. And depending on the school’s floor plan, it can be a challenge to reconfigure the spaces into functional residential units. Plus, says Frith, the ancient plumbing and electrical systems often need to be brought up to code, which can be both time-consuming and costly. 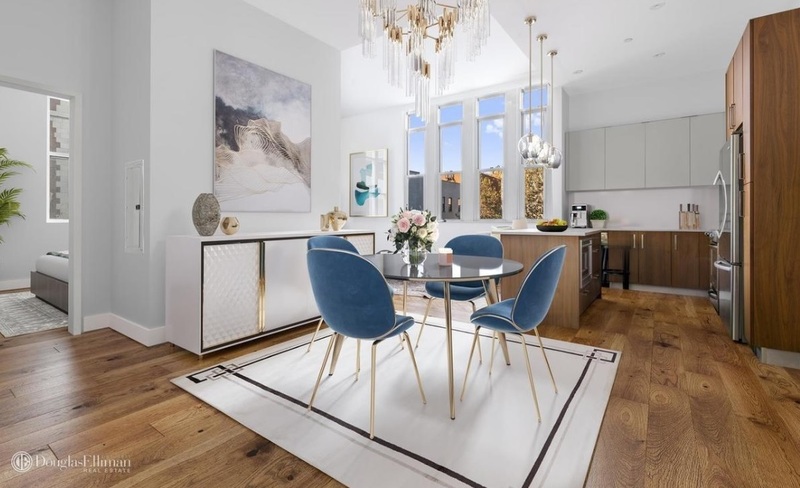 Listed for $995,000, this 1,420-square-foot, two-bedroom, two-bath duplex (also pictured top) has 15-foot ceilings, an open design, custom-made oversized windows, a stainless steel kitchen, and in-unit laundry. 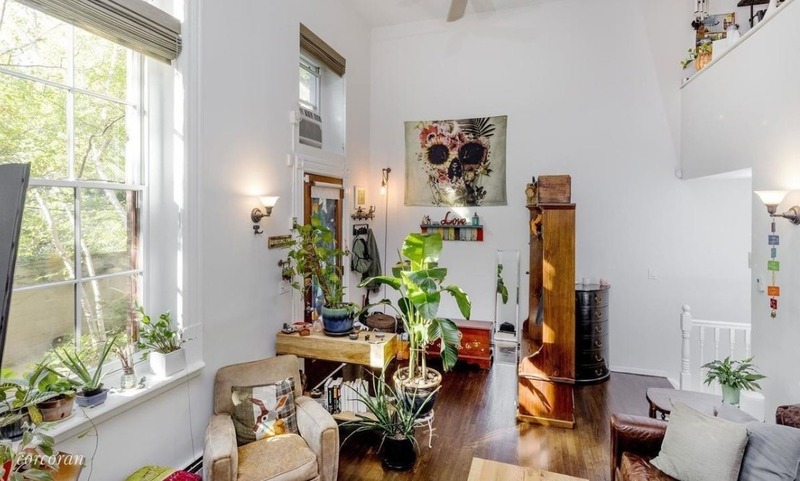 It’s located in Magnolia Mansion, a 1800s schoolhouse converted to luxury condo lofts with a common garden. Common charges are $700 a month. Taxes are $584 a month. Cats are permitted, but no dogs are allowed. 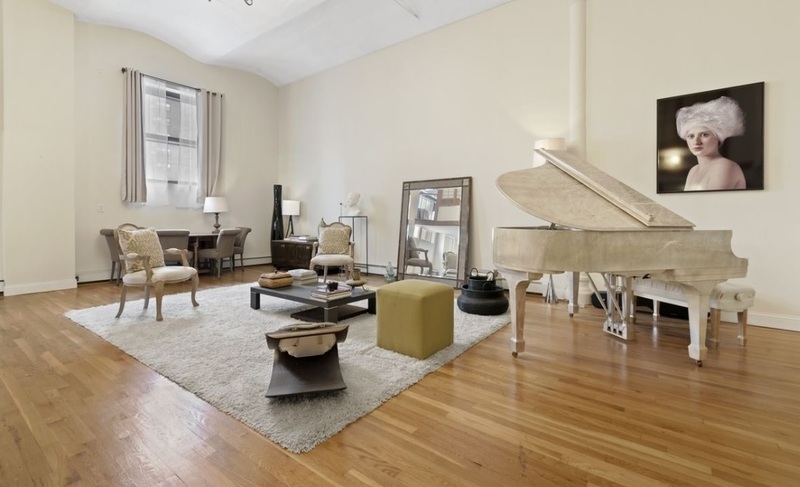 This $1,495,000, two-bedroom, one-and-a-half-bath co-op triplex has a large living room, oversized windows with custom top-down shades, double-height ceilings, moldings, new hardwood floors, an eat-in kitchen with granite countertops, a home office/playroom in the mezzanine, washer/dryer, private outdoor area, and a lower level where both bedrooms are located. There’s additional storage under the custom staircases and private parking on a first-come, first-served basis. Maintenance is $1,655 a month. Features of this $7,900,000, 2,716-square-foot, four-bedroom, four-and-a-half-bath condo include a private elevator landing, 12-foot ceilings, a 28-foot great room with pocket doors, kitchen with two dishwashers, and bathrooms with radiant heat flooring and towel warmers. It’s in a landmarked former school building with a 24/7 attended lobby with refrigerated storage, bike room, stroller valet, gym, and a rec room. The apartment comes with 61 square feet of private storage. Common charges are $3,650 a month. Taxes are $4,189 a month. Listed for $1,395,000, this 1,470-square-foot, two-bedroom, two-bath condo has 12-foot ceilings, 10-foot cathedral-style windows, wide-plank oak floors, stainless steel appliances, central heat and air, and an in-unit washer and dryer. The apartment is in the PS90 Condominium, a former public school building that was converted in 2010 into a 75-unit condo building with an attended lobby, live-in resident manager, fitness room, roof terrace, resident lounge, billiards room, bike room, and a parking garage next door. Common charges are $1,168 a month. Taxes are $130 a month. Listed for $2,300,000, this three bedroom, two bath has high ceilings, central air, double-height ceilings, oversized windows, original hardwood floors, hidden storage spaces throughout, and a balcony. It’s in the pet-friendly Cobble Hill School Condo, which has an elevator, assigned parking, and private storage. Common charges are $767 a month. 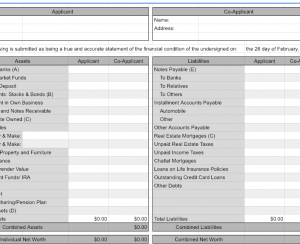 Taxes are $901 a month.